A new writing minor, offered by Roosevelt University’s English Program, will be offered in the fall, available to students of all majors. Students will no longer have to analyze Shakespeare to acquire sought-after communication skills. The move to create the minor is due, in part, to employers looking for applicants with strong writing skills. 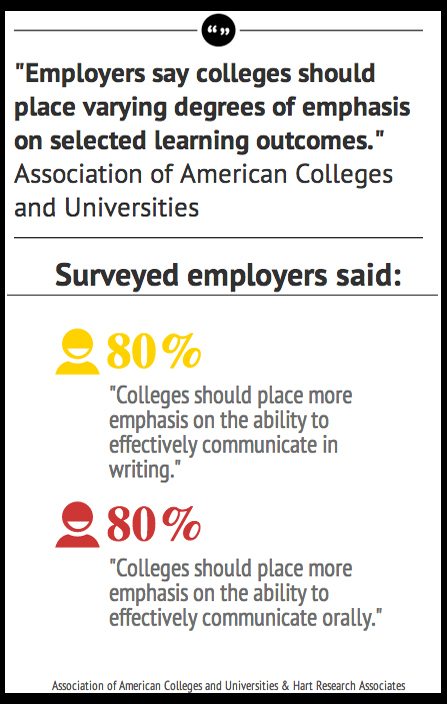 A survey by the Association of American Colleges and Universities from 2013 found that, of 318 employers, 80 percent said colleges should have a stronger focus on written and oral communication. Conversations about creating this minor became serious a year and a half ago. Faculty from the English department collaborated with composition faculty and the Department of Communications to create a minor designed as a six core sequence with two core classes. One 300-level course is required, but students have flexibility in developing the direction of the minor. The core classes are Writing 160 and English 153. Writing 160 teaches students about the art of persuasion and rhetoric, with a focus on writing for social change while English 153 is an introduction to creative writing. After completing the core, students can choose whether to focus on professional writing or creative writing classes. Faculty worked to make this minor available to improve students’ chances at success in the job market. Many articles, appearing in reputable publications like the Chronicle of Higher Education, about the importance of writing skills had come to their attention. Director of the Writing Center Carrie Brecke, one of the faculty members who was involved in creating the minor, said that students were asking for an opportunity of this sort. Other courses currently available in the minor have titles like Writing about Ideas, Intro to Fiction Writing, Screen Writing and Media Writing. This list reveals that the current course selection is a diverse mix of creative and professional writing. As the minor develops, other interdisciplinary courses such as Writing for the Sciences or Writing for Business may be added. According to Larry Howe, chair of the Department of Literature and Languages, the department is still looking for input from people from around the university. There are also plans to find two new faculty members with experience doing and teaching professional and technical writing. Howe commented on which students could take advantage of this minor. This minor aims to help students in disciplines like science or psychology to sharpen the writing skills they will need on the job, even if they are not exposed to writing-intensive courses in their respective majors.